… I like paintings you can listen to, music for the deaf and drawings for the blind. I like playing with medium specificity. I recently discovered High Note (1960, above), a Warner Bros. Looney Tunes animated short directed by Chuck Jones. In this charming film, various musical notes set up the sheet music to get ready for a performance of The Blue Danube Waltz. However, a sole note is missing. It turns out the note (a red-faced “High Note”) is drunk upon staggering out of the sheet music to “Little Brown Jug“, and the irritated conductor chases after him to put him back in his place so the waltz can continue as planned. Eventually, the rogue note is put back into place, but when the performance starts again, it has disappeared again, along with the rest of the sheet music. The composer then discovers that all the notes have gone into the “Little Brown Jug” to get drunk. This film entered my head as visual music, although it is less so than the music visualization of Fantasia (1940), of which Oskar Fischinger‘s interpretation of J. S. Bach‘s Toccata and Fugue in D Minor is online here. This entry was posted in Uncategorized and tagged cartoon, film, medium specificity, music, sheet music, surrealism, visual music on January 18, 2015 by jahsonic. Big Eyes (2014), a biographical drama film by Tim Burton about American artist Margaret Keane, who specialized in portraits of kitschy doe-eyed children and waifs. Lana Del Rey contributed the song “Big Eyes”. This entry was posted in Uncategorized and tagged American film, Amy Adams, film, kitsch, Tim Burton, USA on January 18, 2015 by jahsonic. 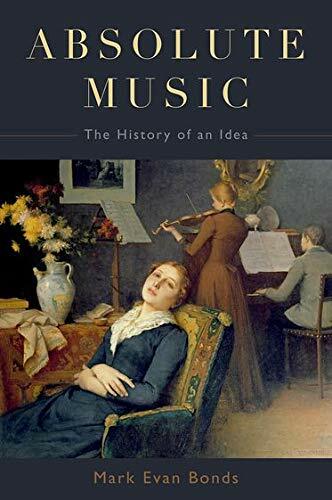 Absolute Music: The History of an Idea (2014,Mark Evan Bonds) appears to be an interesting read. I found it while researching the origins of abstract art (in the modern sense of non-figuration, as starting with Whistler, Turner, some Constables, and later on De Stijl). That about sums up what I expected to find. This entry was posted in Uncategorized and tagged 19th century, absolute music, abstract art on January 4, 2015 by jahsonic.